Chris O’Dowd and Rosamund Pike To Star in Nick Hornsby’s State of the Union! Chris O’Dowd and Rosamund Pike has signed on to star in State of the Union – a genuine short form comedy series for SundanceTV and Sundance Now. Created by Nick Hornsby – and to be directed by Stephen Frears – SotU is ten ten-minute episodes that follow Louise and Tom who meet in a pub immediately before their weekly marital therapy session. Shooting will begin this summer. Fobidden Love Triumphant Trailer: A United Kingdom! In 1948, Seretse Khama, the king of Bechuanaland (modern Botswana), married Ruth Williams, a London office worker – very much against the wishes of Great Britain, South Africa and their own families. A United Kingdom is their story. It will have its world premiere at the Toronto International Film Festival before opening in the United Kingdom on November 25th. North American dates have not yet been set. Check out the trailer after the break. Video: Thunderbirds Are Go! Again! 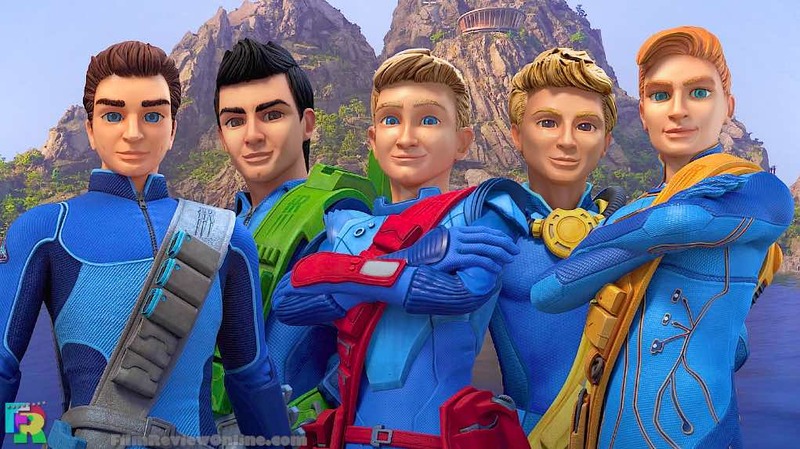 Thanks to the caring folks at WETA – the power behind the worlds of Peter Jackson’s Lord of the Rings and Hobbit movies – the great Gerry Anderson created Thunderbirds are coming back in a series that mixes CG animation with live-action miniature sets. Gone Girl – Quite The Absorbing Exercise In Misdirection! Nick and Amy Dunne has been married for five years – in fact, she disappears on the morning of the couple’s fifth anniversary. At first, Nick seems appropriately upset, but gradually his behaviour seems to be in conflict with his declared desire to find her. Did he kill her? 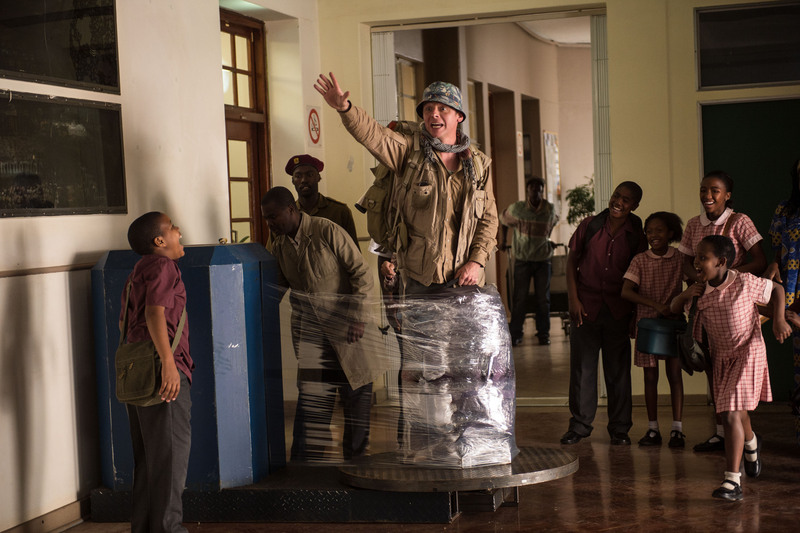 Hector Mitty; Walter’s Search for Happiness! I’ve seen Hector and the Search for Happiness three times and a bit – only the first two were versions of The Secret Life of Walter Mitty (Danny Kaye, 1947 and Ben Stiller, 2013) and the bit was parts of a TV series called My World and Welcome To It, all of which were based on the writing s of James Thurber. 20th Century Fox has released a new trailer for Gone Girl. It’s short but it packs a punch. Suspicions abound. Gone Girl is in theaters on October 3rd. Check out the tension-filled trailer after the jump. Whimsical Trailer: Hector and the Search for Happiness! It’s always fun when a movie title describes precisely what’s in the box. Hector and the Search for Happiness. Seriously, what more do you need to know? 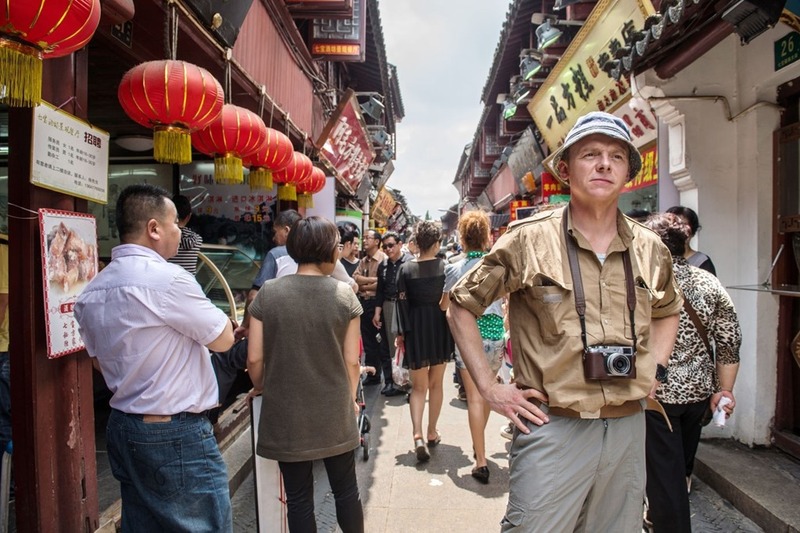 Other than that it’s one of the films making its North American Premiere at the Toronto Film Festival – and that it stars Simon Pegg, Rosamund Pike, Toni Collette, Christopher Plummer, Stellan Skarsgård and Jean Reno. There are two trailers for Hector after the jump. One is apparently the regular theatrical trailer (which I like, a lot) and the other is for TIFF (which I also like, but a little less). Feel free to check them both out and let us know which makes you happier. 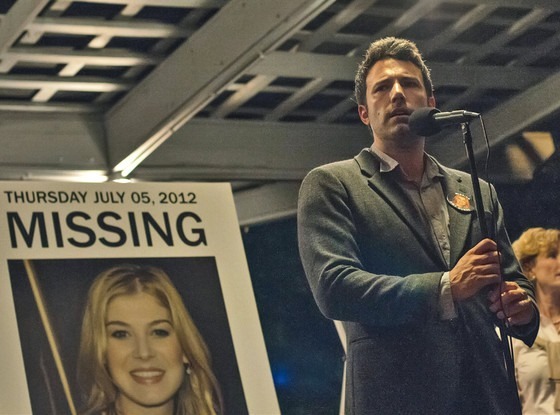 Intense Trailer: David Fincher’s Gone Girl! Check out the new trailer after the jump. Gone Girl skulks into theaters on October 3rd. Wrath Of The Titans Improves Upon The Original! Clash of the Titans was not an awful movie – or rather, wouldn’t have been if the 3D hadn’t been so bad – but it was no great fantasy-action flick, either. 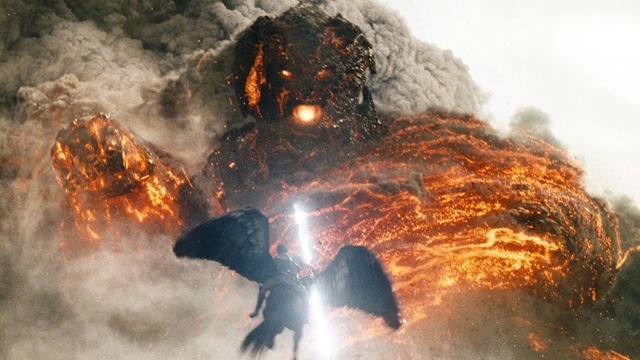 Wrath of the Titans may actually have less plot – less actual story – but it is superior in every way. In fact, it is a decent enough time-waster for a spring afternoon – it moves quickly, has glorious special effects, the CG effects have genuine heft and the 3D is quite wonderful.